LeMoine Gaunce Lewis spent nearly all of his adult life at Abilene Christian University. He entered Abilene Christian College as a freshmen during the Great Depression. By his sophomore year he earned a full academic scholarship due to his outstanding grade point averages. His outstanding academic performance accompanied interests in campus groups (like forensics and mission study) and athletics (winning the mile-run in 1936). He obtained further training at Harvard Divinity School, graduating in 1944 with the STB and in 1959 with the PhD degrees. 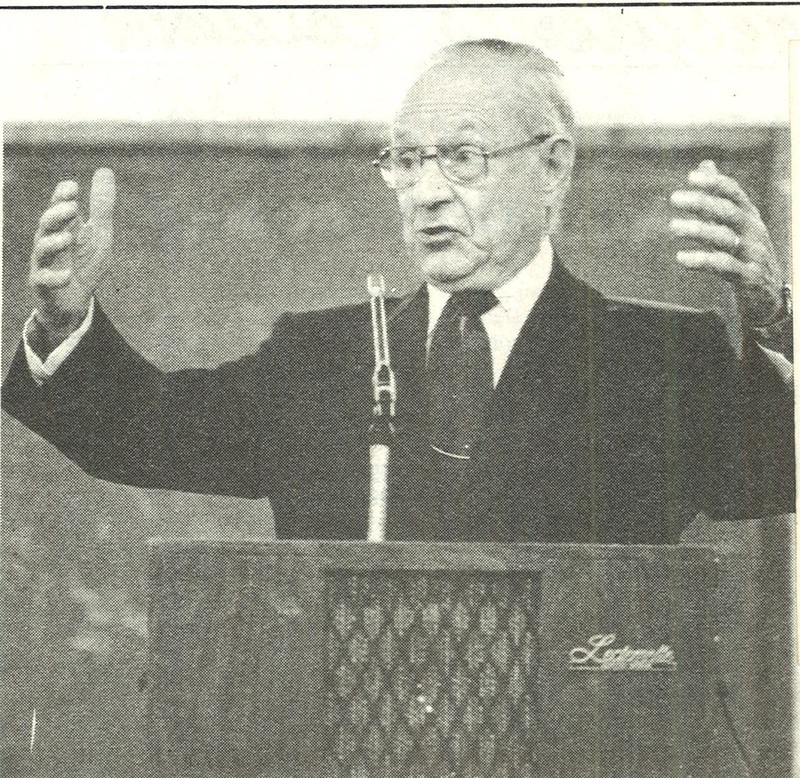 In 1949 he returned to Abilene to teach, remaining until his retirement in 1986. Along the way he taught and preached in area congregations, was active in civic affairs (especially the Rotary Club) and served across campus in many capacities. He was twice president of the Faculty Senate, for fifteen years sponsor of Alpha Chi Honor Society. Of special interest to him were undergraduate students and Bible majors whom he inspired and encouraged to further their education. Trained in early church history, with particular interest in Origen, Lewis taught at least 24 courses in Hebrew, Greek, and courses in many books of the Bible. Freshman Bible and church history were his favorites. He was twice honored as Teacher of the Year. These lectures span the breadth of Christian history from the beginnings until the modern period with later emphasis on the American Restoration Movement. Lewis delivered them at University Church of Christ in Abilene, TX.